Charming accents and notions, new yarns and books, a successful charity effort and a sweet Mexican treat. Monterrey and Mexico City roll out the welcome mat for Nell and Debbie. 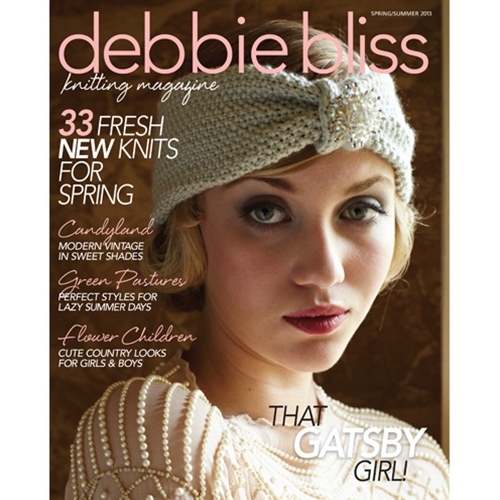 Knitted fashion that captures the excitement and sparkle of a glittering era. Plus, a stitch workshop. Wardrobe builders in nature’s hue, for a variety of springtime looks. Stunning figure-flatterers to knit in this most flirtatious fiber. Deck out little ones in delightful cardigans, vests and dresses perfect for a garden party. Ethereal pieces in the softest and loftiest of yarns. An array of delectable knitting for the sweater set. Colorful home accessories well adapted to the great outdoors.